CHEQ is teaming with legendary NBA shot blocker Dikembe Mutombo and will showcase him both in-front and behind the camera to promote the ad-certification company. A new online ad campaign, developed in house, opens with Mutombo (who retired from the NBA in 2009) addressing the camera before various scenarios show him "blocking" something. 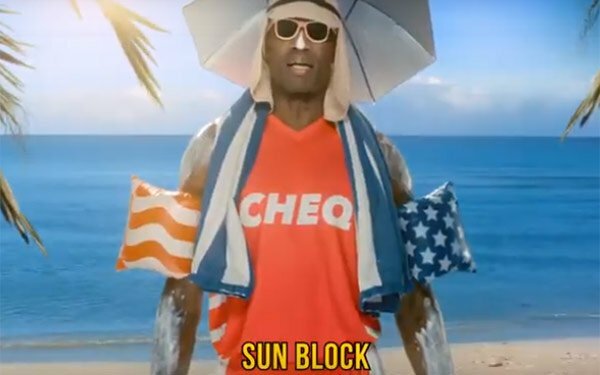 “Dikembe’s reputation and legendary defensive skills best illustrate what CHEQ does millions of times a day in digital advertising -- block ads from being served in unsavory environments,” said CHEQ CEO, Guy Tytunovich. “For years, Dikembe protected rims, and we protect brands. "We are a match made in heaven, and now we’re like family. We also expect to gain from Dikembe’s wisdom and winner mentality, as he becomes an integral part of our advisory team,” Tytunovich added. Concurrently, the company is appointing Mutombo as Chief Blocking Officer, a new paid advisory position at the company, though his specific duties are still undisclosed.